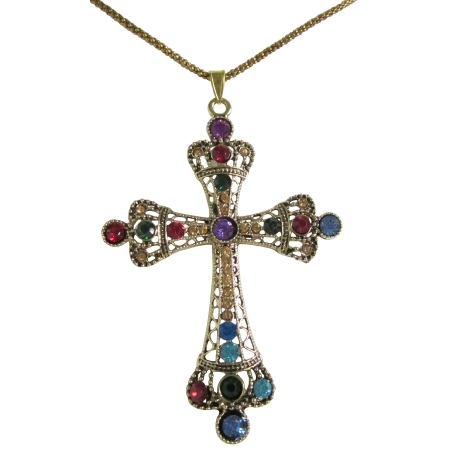 Lovely crystals jeweled gold plated filigree cross pendant vintage multicolor cross pendant. Lovely crystal jeweled gold plated filigree cross pendant. This necklace is a great gift to female friends & relatives. Otherwise the piece is in excellent vintage condition.